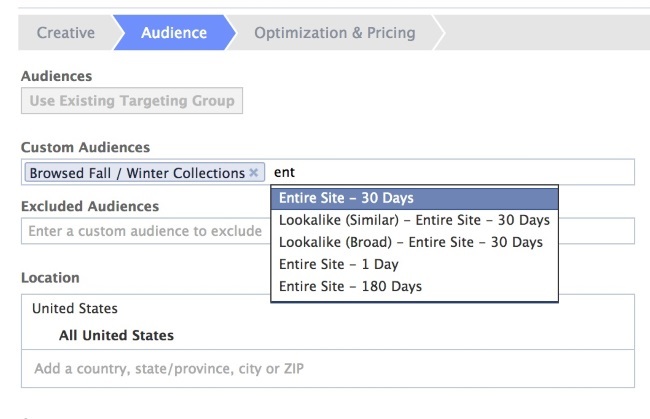 Facebook appears to be tinkering with the process of creating website custom audiences for ad targeting. Anyone who visits your website. People who visit specific Web pages. People visiting specific Web pages but not others. People who haven’t visited in a certain amount of time. 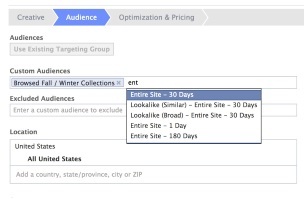 Baltagalvis noted that the option for people who haven’t visited in a specific amount of time eliminated several steps, as the process previously involved creating several website custom audiences for different time frames and using Power Editor to combine custom audiences and excluded audiences. Can’t edit audience rule: This audience was created using rules that can’t be edited here. You can still use this audience for your ads. Advertisers: What are your thoughts?